Home » Events » Marginal Equity : Kade L. Twist Book Launch & Performance! 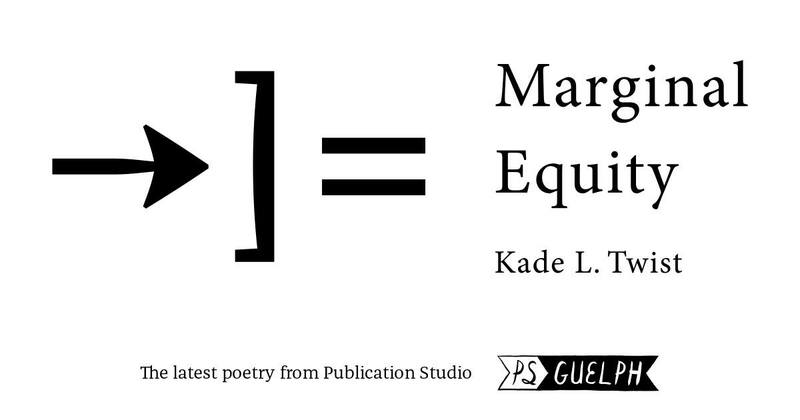 Marginal Equity : Kade L. Twist Book Launch & Performance! Throughout his artistic practice, Kade L. Twist combines re‐imagined tribal stories with geopolitical narratives to examine the unresolved tensions between market-driven systems, consumerism and American Indian cultural self‐determination. Including a performance by Kade L. Twist and collaborators tentatively titled “That’s Just Indians Being Indians,” the project is envisioned by Twist as a generative, socially-engaged sound piece. Kade L. Twist is a poet and interdisciplinary artist working with video, sound, interactive media, text, and installation environments. Twist’s work combines re-imagined tribal stories with geopolitical narratives to examine the unresolved tensions between market-driven systems, consumerism, and American Indian cultural self-determination. Mr. Twist is a co-founder of Postcommodity, an interdisciplinary artist collective. With his individual work and the collective Postcommodity, Twist has exhibited work nationally and internationally. Mr. Twist is an Associate Professor of Art and Social Practice at Otis College of Art and Design in Los Angeles, CA. He is an enrolled member of the Cherokee Nation of Oklahoma.